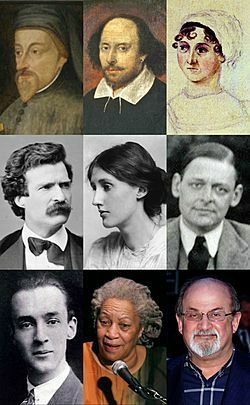 Selected English-language writers: (left to right, top to bottom) Geoffrey Chaucer, William Shakespeare, Jane Austen, Mark Twain, Virginia Woolf, T. S. Eliot, Vladimir Nabokov, Toni Morrison, Salman Rushdie. English literature began in Old English with the epic poem Beowulf, which dates from sometime between the 8th to the 11th centuries. It is not written in language people can understand today, but there are several good translations into modern English. It is the most famous work in Old English, despite being set in Scandinavia. The poem is written with no rhymes but with alliteration. The next important landmark is the works of the poet Geoffrey Chaucer (c. 1343–1400), especially The Canterbury Tales. That is in Middle English 1066 to the middle/late 1400s. Chaucer introduced into English poetry rhyme royal that is a seven-line stanza rhymed ababbcc. 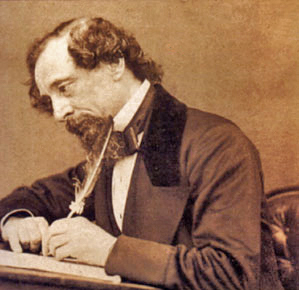 Modern English literature began in the 16th century. Thomas Wyatt and Henry Howard, Earl of Surrey wrote first English sonnets. The last-mentioned invented also blank verse. Edmund Spenser wrote The Faerie Queene, a long epic poem while Philip Sidney wrote a sequence of sonnets Astrophel and Stella. The next stage is sometimes described as Early Modern English (1470 to 1650). Notable authors were Thomas Kyd, Christopher Marlowe, Ben Jonson, Shakespeare and John Milton. William Shakespeare is the author of the most famous sentence written in English: To be, or not to be, that is the question:. It is the first line of prince Hamlet's monologue from drama The Tragedy of Hamlet, Prince of Denmark that was published in 1603. The King James Version of Bible was published in 1611. John Bunyan wrote The Pilgrim's Progress which is one of the most popular books ever published. In 18th century first modern novels were written by Daniel Defoe, Jonathan Swift, Lawrence Sterne and Horace Walpole. William Wordsworth, Samuel Taylor Coleridge, John Keats,Jane Austen, Emily Brontë, Charles Dickens,Robert Browning, George Eliot, Thomas Hardy, D.H. Lawrence, Virginia Woolf and Ted Hughes are all important English writers in modern English. T.S. 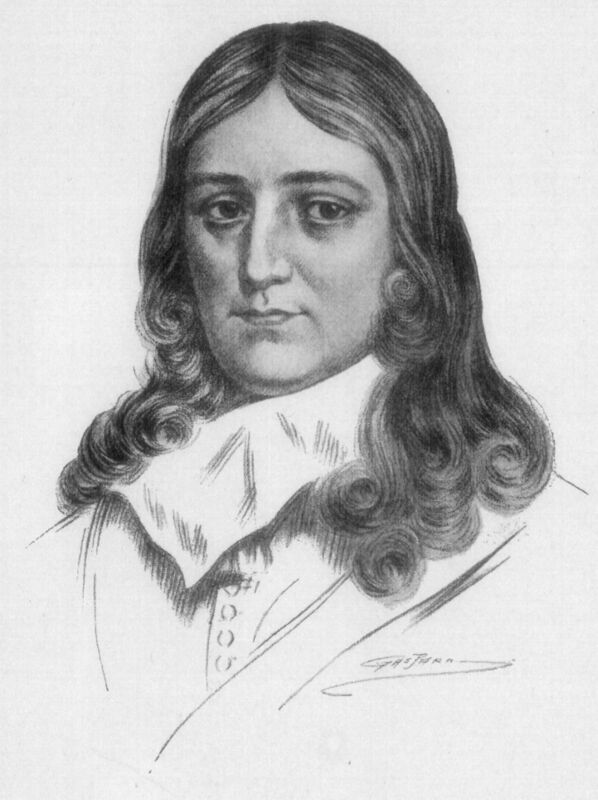 Eliot was perhaps the most important poet in the 20th century who wrote in English. 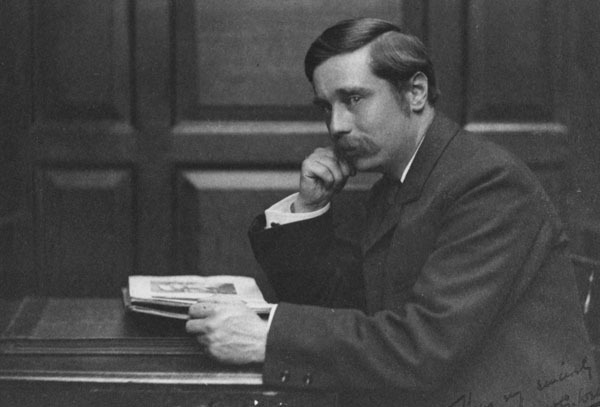 His best known work is the poem The Waste Land that was published in 1922. Another book by him was The Four Ouarters. The poet himself regarded it as his best work. Not all English literature was written by writers born in England. Joseph Conrad was Polish, Robert Burns was Scottish, James Joyce was Irish, Dylan Thomas was Welsh, Edgar Allan Poe was American, Hillaire Belloc was French, Emma Lazarus was Jewish, Salman Rushdie is Indian, V. S. Naipaul is Trinidadian, and Vladimir Nabokov was Russian. The greatest Portuguese poet of 20th century, Fernando Pessoa wrote some poems in English, too. In other words, English literature includes all the varieties and dialects of English spoken around the world. Through the influence of the British Empire, the English language has spread around the world since the 17th century. Sir Arthur Conan Doyle was born in Scotland of Irish parents. English literature Facts for Kids. Kiddle Encyclopedia.